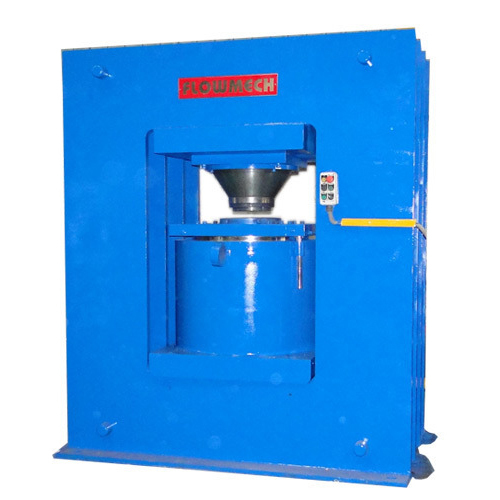 The Hydraulic Press for Induction is manufactured at our end in conformation with advanced technological standards. These presses are used for molding hardware, mold copying and many more applications. The machine is used for pressing sliced stainless steel on to the induction cooker. It comprises of fast supercharge cylinder, independent cooling system with main cylinder and can be safe and convenient to operated. The machine is operated on two modes, manual mode and semi auto control mode. Working - Semi auto control mode: The machine while working on semi auto control mode can finish the full work circulation including fast up, pressing, auto-return and stop return. Equipped with cooling systems with having independent filters and electricity protection equipment, the machine is highly product efficient while working and consumes less energy.